AMD's implementation of the VESA Adaptive Sync standard as FreeSync was one of the biggest PC technology stories of 2014. It has since been integrated into dozens of GPU models, hundreds of monitors and even the odd console, bolstering its adoption as a core gaming feature in many different ecosystems. What has been absent however is Adaptive Sync's adoption by other GPU manufacturers. 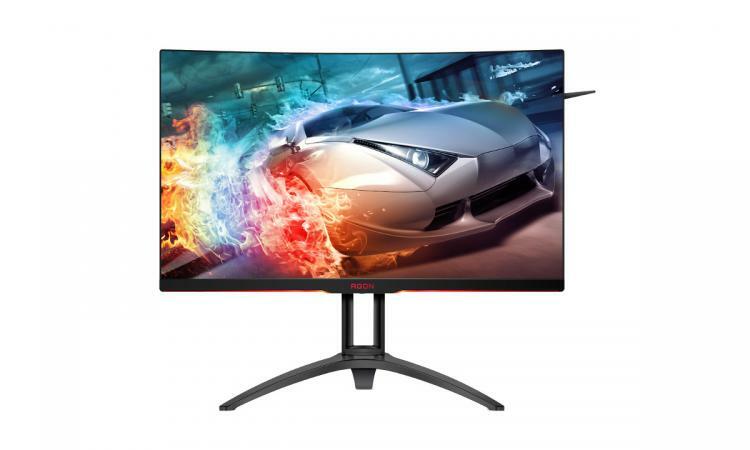 Lack of support from NVIDIA is understandable due to the existence of their competing solution, G-Sync, which is proprietary. 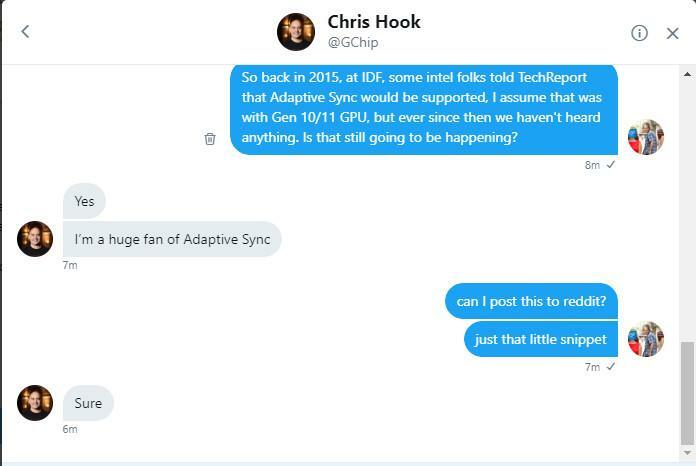 However the Adaptive Sync standard received an early boost in 2015 when Intel announced that they had plans to implement the technology eventually. Unfortunately, Adaptive Sync technology doesn't seem to be any nearer adoption on Intel's hardware three years and three CPU generations later. Hook being a fan of the technology is no surprise given his past role as AMD's Senior Director of Global Product Marketing, but reiterating that enthusiasm as an Intel representative has to be reassuring. The question is now when it can be expected. At the very least it surely has to be an attractive technology for Intel's nascent Discrete Graphics unit to include, potentially through the adoption of HDMI 2.1's Variable Refresh Rate specification. Rolling it into their integrated graphics is more problematic due to the slow development of that aspect of the chip and the current delay to next-gen 10nm architectures. It would be great to see it on the upcoming 8-core CPU models, but that doesn't seem likely.